Hydro Hippy your Hydroponic Superstore. Bubble Bags, Wet & Dry Trimmers Pollinators, and more! 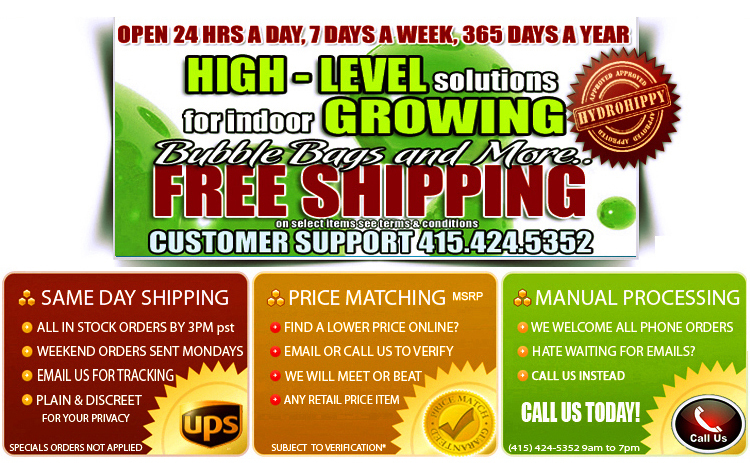 Hydro Hippy , Authorized USA Bubble Bag and More Superstore. Local Pickup's Welcomed in San Francisco or Sacramento Call for info. Here you will find the world’s most advanced cannabis trimmers. Bubble Bags Pressing Screen 25 Micron.